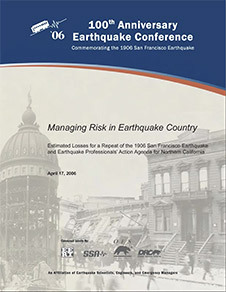 This handbook provides information about the threat posed by earthquakes in the San Francisco Bay region and explains how you can prepare for, survive, and recover from these inevitable events. The abridged version, “Protecting Your Family from Earthquakes” is now available in two versions: English, Spanish and Chinese, Korean, and Vietnamese. Why Should I Care? Why Should I Prepare? What Should I Do? USGS scientists describe this fault as a tectonic time bomb, due anytime for another magnitude 6.8 to 7.0 earthquake. Because such a quake could cause hundreds of deaths, leave thousands homeless, and devastate the region’s economy, the USGS and other organizations are working together with new urgency to help prepare Bay Area communities for this certain future quake. Earthquake readiness campaign to raise earthquake awareness and encourage earthquake readiness in southern California. The Prepare Bay Area initiative supports YOU with information, materials, and tips on getting prepared for disasters. Interactive web site, including videos, that explains how to be prepared for disaster. Is San Francisco Safe Enough to Stay? What it will take for residents to live safely in their homes after an earthquake. This article is excerpted from the SPUR report Safe Enough to Stay. Disaster planning toolkit for small to mid-sized business owners from the Insurance Institute for Business and Home Safety. Fritz Institute’s BayPrep seeks to improve disaster preparedness in the San Francisco Bay Area and ensure that vulnerable communities have been taken into account in disaster planning. 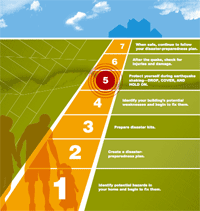 The purpose of the Community Action Plan for Seismic Safety (CAPSS) project is to provide the Department of Building Inspection a plan of action, or policy road map, to reduce earthquake risks. Online resources for school disaster planners to improve emergency response procedures in local schools.